Lucknam Park. The very name conjures up images of trees and tranquility, of stately nature and magnificent settings. 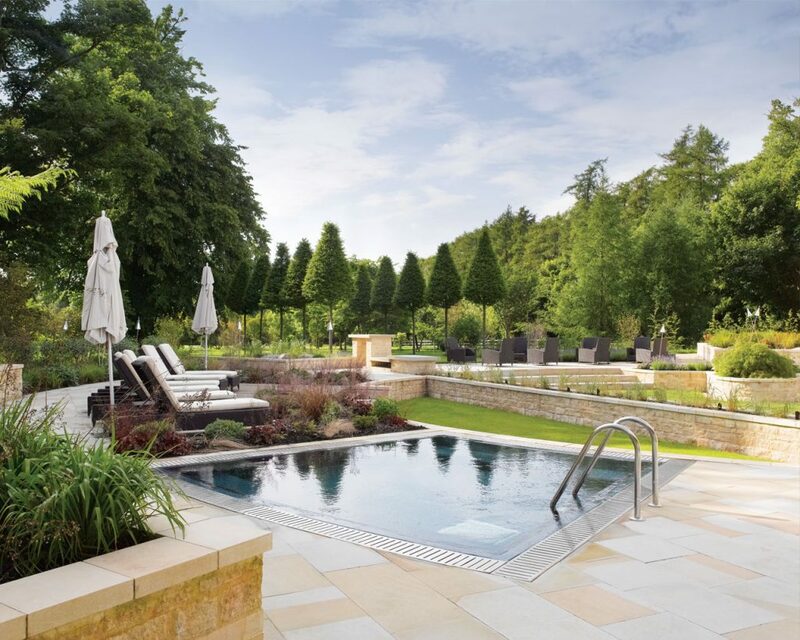 A country retreat from the world where one can experience spa treatments, elegant rooms, local flavours, equestrian activities, a cookery school and private gardens in one beautiful location. Driving up the 1.6 km long avenue of 400 lime and beech trees (planted in 1827) to the front of the hotel is in itself an experience, ever changing with the seasons, the anticipation of what lies at the end as you wind your way along the narrow path. As you pull up to the front, like a mirage out of the desert appears this magnificent country house hotel. 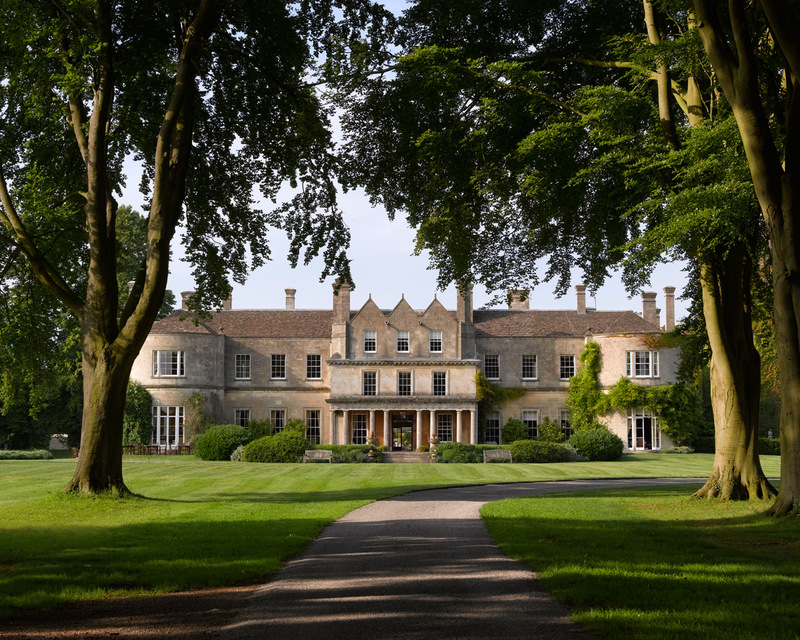 Located just six miles from the historic city of Bath in England, Lucknam Park is a Palladian mansion dating from 1720 and is a member of the renowned Relais & Chateaux portfolio. 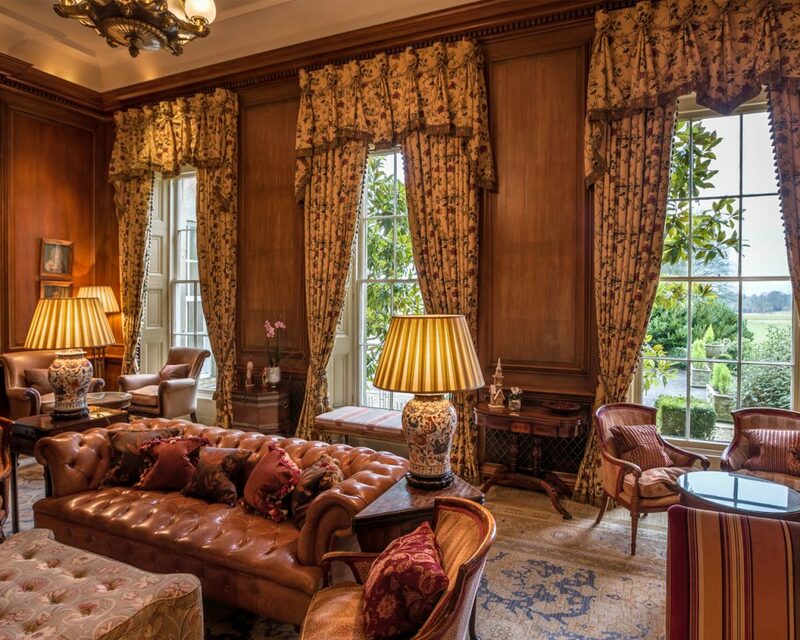 This property opened its doors as one of the UK’s top country house hotels in 1987 when it ceased to be a family home, which was lucky for Rachel and I as for two nights this grand mansion was to be our home. 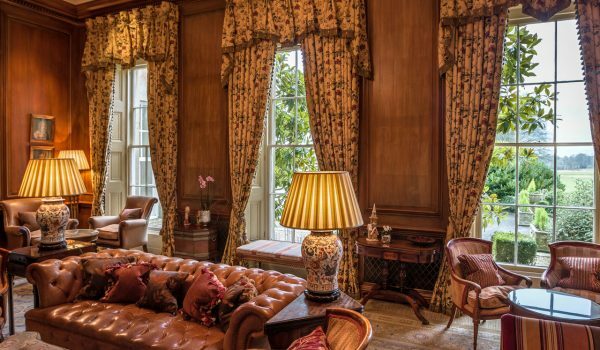 This Wiltshire hotel has 42 luxurious bedrooms, including 13 suites, and each of the suites and bedrooms are individually designed with fabrics, antiques and ornaments specially chosen to reflect the character of the rooms. All have marble bathrooms and splendid views across the park or the lovely courtyard. Our suite for the night was a truly stunning Grand Suite. 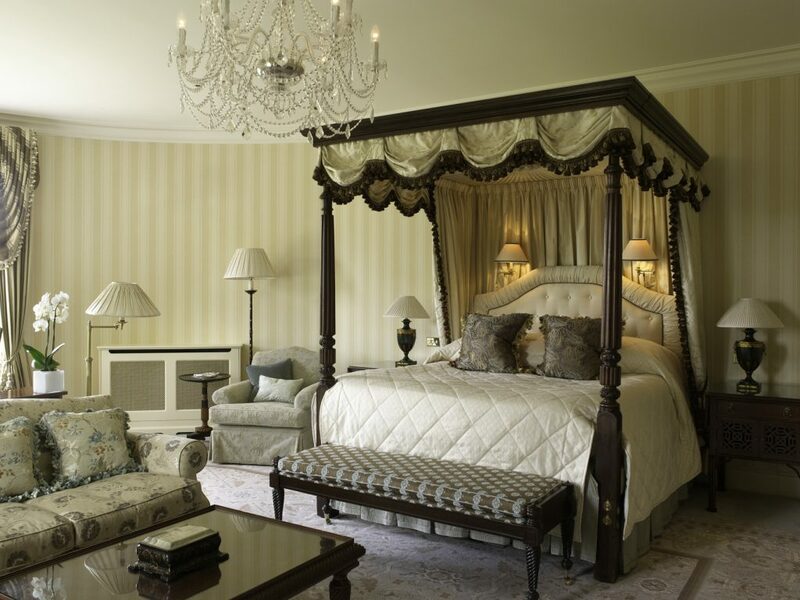 These traditional 5 star luxurious suites are situated in the main house and courtyard and have stunning views across the estate and gardens, specifically the helipad – which was exciting when awoken by a helicopter the following morning! 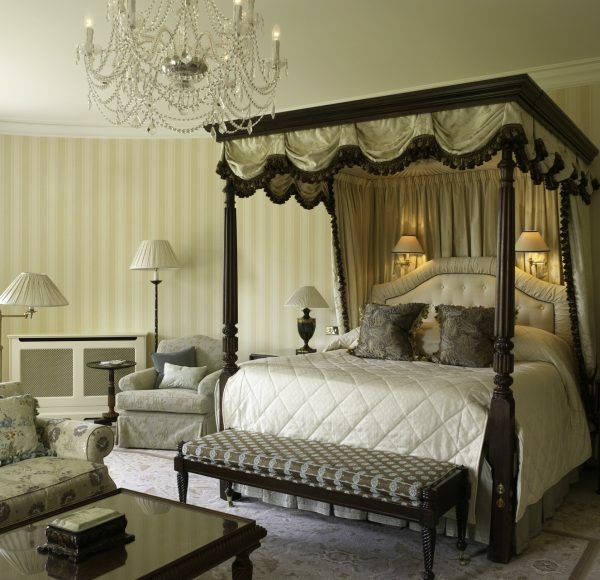 All Grand Suites have a DVD player and feature separate sitting rooms, open fireplaces and four-poster beds. Our suite was located down a narrow corridor in the left wing of the house, with views of both the palatial grounds and inner courtyard, a separate sitting room with dining alcove in the bay window overlooking the grounds, a four poster bed and grand marble bathroom with separate bath and shower, one could feel like a princess. The piece du residence of this suite was the bed; I had only seen such a thing in fairytales, straight out of Princess and the Pea! Standing next to this four-poster, the mattress was at chest height and there was even a stool provided to actually get into this monster! Like a child regaining ones childhood, the temptation to explore underneath could not be denied and there was a secret den, perfect for late night stories in the dark with only a flashlight to break through the night. After unpacking and taking in the views from our suite, Rachel and I headed to the spa. 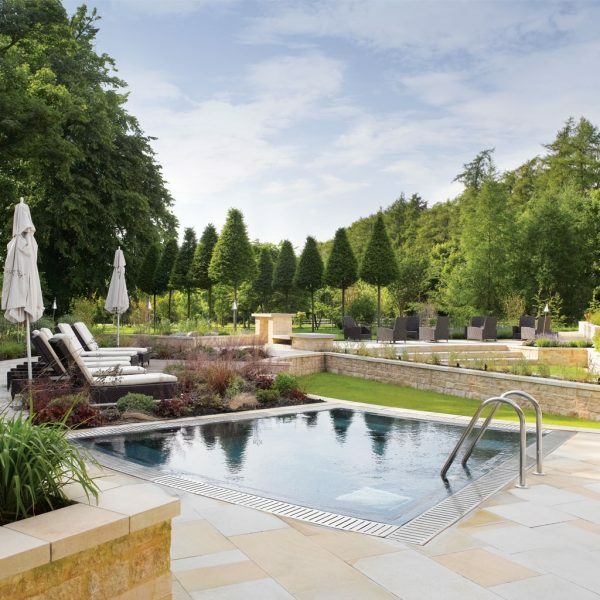 Since opening in November 2008, The Spa has become regarded as one of the UK’s finest. Set overlooking the estate’s 500-acres of exquisite parkland, The Spa is totally at one with its surroundings, incorporating wood, marble and glass to reflect the seasonal hues of the outdoors. 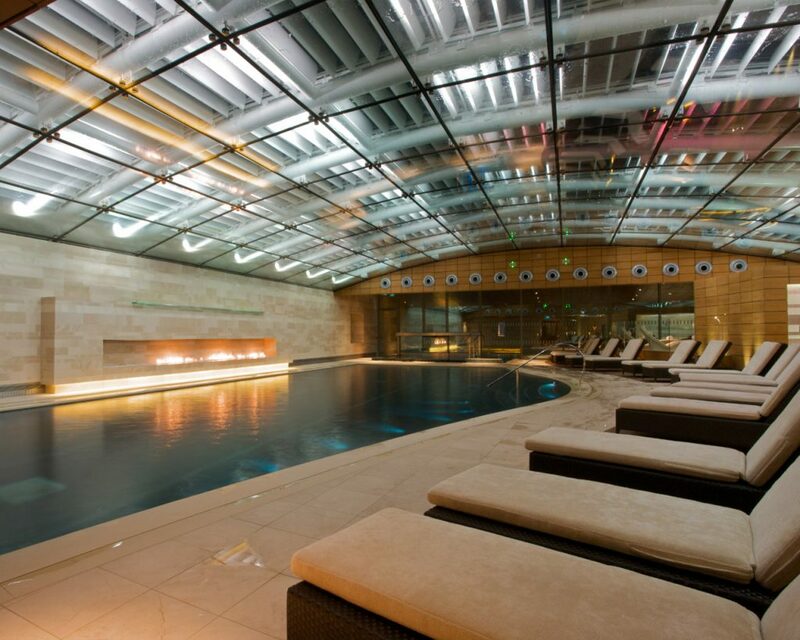 Rachel and I wasted no time at all in donning our swimsuits and heading to the stunning 20 metre indoor pool with indoor and outdoor hydrotherapy pool. 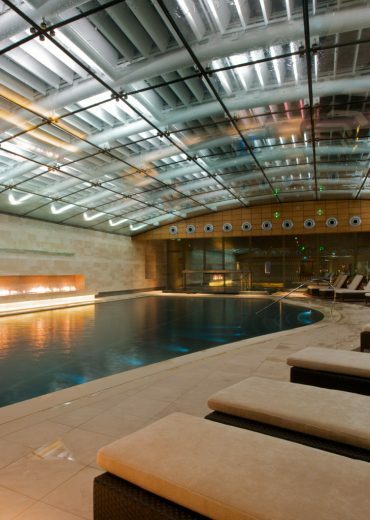 Housed in a glass building at the back of the estate and located through the main courtyard, The Spa is more than just a wellness centre, with its own restaurant, The Brasserie, and a Well-Being House providing Yoga and Pilates, Haslauer Reflective Sunlight Therapy, Dry Floatation and Burn Out Treatments, which is a destination in itself. Rachel and I loved the hydrotherapy pool, being able to sit in the warm waters outside with the crisp contrast of the spring air on ones face was refreshing and relaxing. 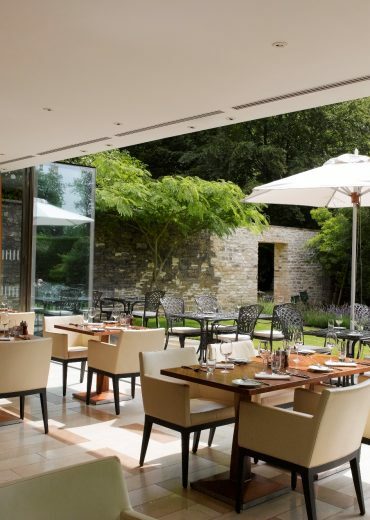 After several hours of chilling in the spa, we made our way back to our room to prepare for dinner which on this evening was in The Brasserie, a contemporary and stylish restaurant perfect for light lunches and informal dining. After a meal of crisp parmesan beignets with tomato salsa, salad of rocket, toasted cashews with lemon roast chicken, Huntsham Farm Longhorn rump burgers with French fries and seasonsal stir fried greens, bitter chocolate, nut and red berry torte and Tahitian vanilla crème brûlée, Rachel and I were thoroughly satisfied and ready for bed! But not before a few Espresso Martinis in the Drawing room where we kicked back in front of the roaring fire and played a few rounds of Cluedo: “It was Rev Blackmore in the library with the candlestick!”.